“My husband’s family has resided in the Bahamas either as seasonal visitors or as permanent residents since the 1940’s. Knowing that we are a Canadian family, you would assume that it is the weather which has attracted us to these islands. I would not be foolish enough to deny that the climate played a role in any of these decisions. Certainly, trading icy roads, snow storms, frigid winds and mountainous snowbanks in exchange for warm breezes, pristine sands and turquoise seas factored into those choices. But climate alone cannot account for our family’s enduring love for these glorious islands. As I write, the sixth generation of the Dunn family has made the Bahamas their home; my grandchildren attend school here and cavort on Bahamian beaches, frolic in the oceans and happily explore the many islands of this exceptional archipelago. It is the exceptional beauty of these islands – especially of the seas in which they are cocooned – which keeps us here. It is a beauty which even the astronauts circling the globe have remarked upon. Bahamian seas are an exceptionally rich kaleidoscope of colours ranging from brilliant turquoise, to cobalt to ultramarine blue; soft waters caressed by the sun wash onto the pink or white sands. If you have ever had the pleasure, as I have, of flying low over the seas in a small craft, you will be amazed at the abstract patterns of colours and textures which are unlike anywhere else that I know. I live on the island of New Providence, by far the most heavily populated island. But as I tell any guest who visits me, it is not at all representative of the true Bahamas. It is the out islands which define this country, and where the true beauty of the land and its people can be found. My friend Alessandro Sarno has made it his mission to capture the essence and the soul of one island in particular – Eleuthera. For the past ten years, Alessandro has been coming to the Bahamas, during which time his passion and love for these islands has flourished and grown. He has the eye of a true artist, able to discover beauty in the smallest detail or the widest vista, always finding the singular angle where the light frolics. With his camera as painterly tool, Alessandro honours and captures the essence of a people and a place with unerring accuracy, thereby rendering for us his unique interpretation of this island. 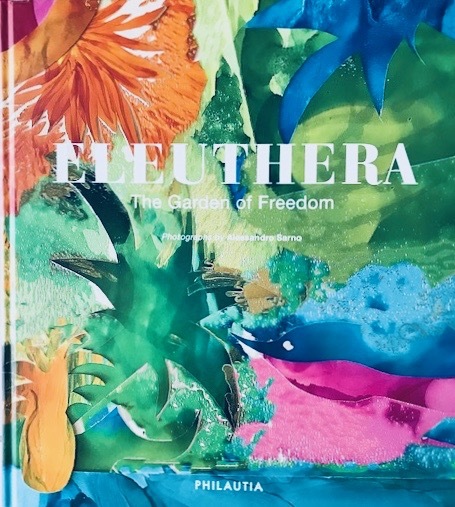 My friend Beat Schlagenhauf is so smitten and impressed with Eleuthera, that he aims to translate his passion for this island into a bricks and mortar reality. With patience and tenacity he has nurtured the dream of “Philautia”, a luxury wellness resort unique to these islands. I have listened in awe and admiration to his evolving plans, which focus in depth and detail on the spiritual and physical wellness of people, in harmony and in tandem with the sustainability of this gorgeous environment. From organic farms to supply the restaurants, to daycare facilities and education for the staff, the resort would focus in manifold ways on the health and well-being of all who visit or work there. It would be a true expression of Beat’s love for this singular island.